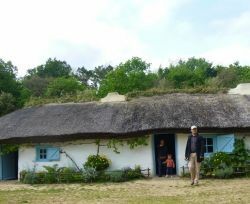 This is a collection of traditional earth buildings covered in reeds, bearing witness to life in the Brittany-Vendée marshes in the early 20th century. 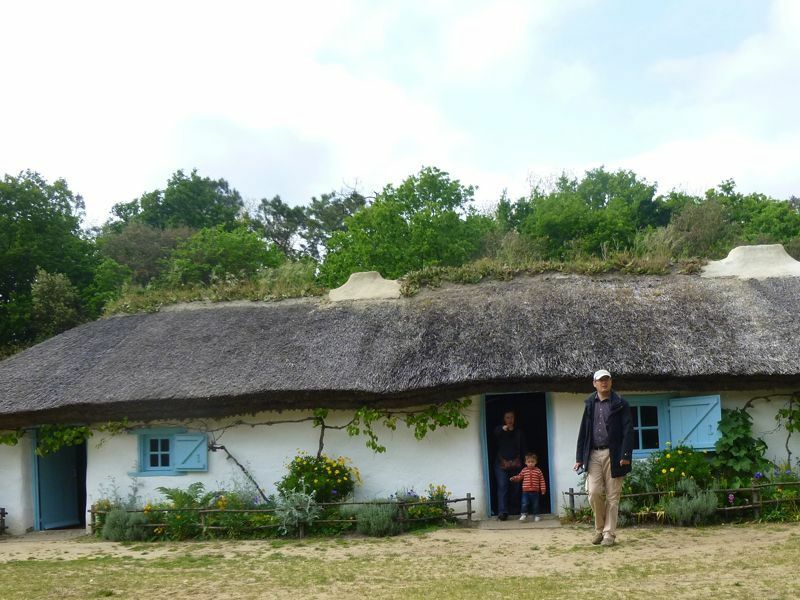 You can see the bourrine (traditional Vendée house) and a large number of annex buildings. 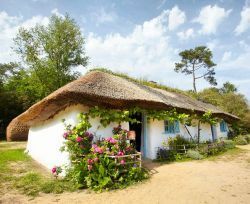 The buildings stand on the edge of the Brittany-Vendée marshes, on a line of sand dunes with well-preserved vegetation. The multimedia area (exhibition and projection rooms, interactive screens) rounds off this special site where you can to know all about the heritage of Saint Hilaire. Special events from April to September. Beginning of hiking trails. 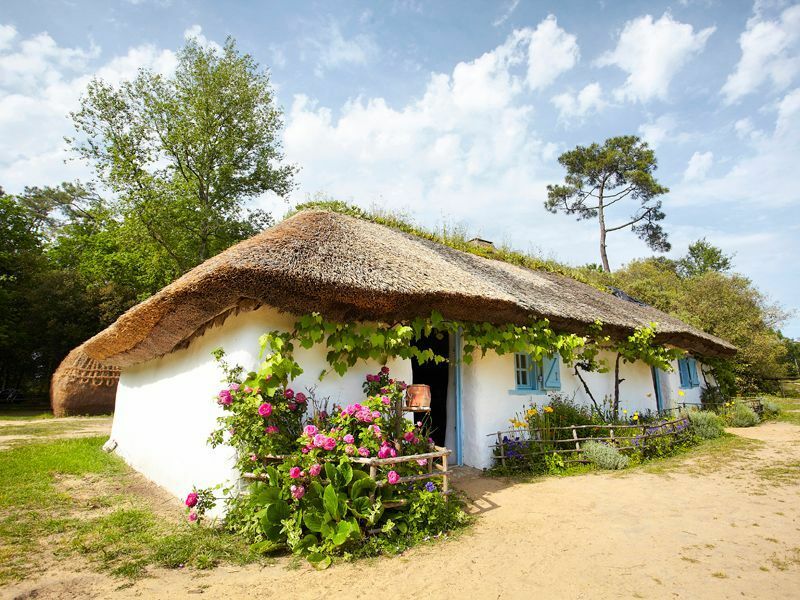 In an area of 60 hectares, between the freshwater and salt marshes, the eco-museum is a preserved area of natural and human history of the Brittany-Vendée marshland. This vast area includes two regional farms, as well as an open-air architectural museum, an animal and plant conservatory and an observatory for migratory and sedentary birds. A salt marsh has also been recreated, with permanent and temporary exhibitions, activities and treasure hunts for children. 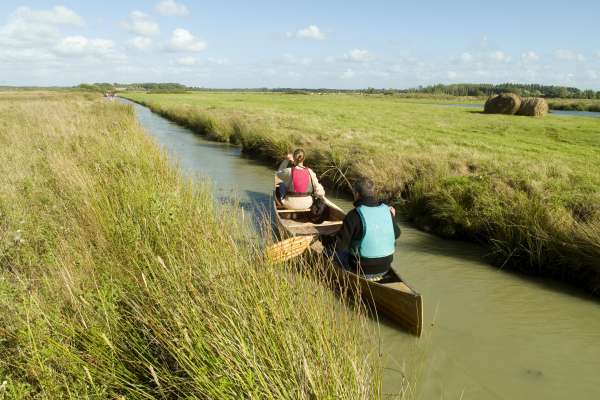 Enter the heart of the marshland and explore the colourful fauna and flora during a sailing trip on a Yole along the great Perrier canal. The visit includes a trip in a horse-drawn cart taking you back to the village where you can enjoy some regional specialities. The salt marshes once covered 700 hectares – a quarter of the surface area of the island. 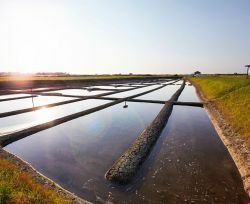 Each year, around a hundred salt-marsh workers produced over 600 tons of salt. 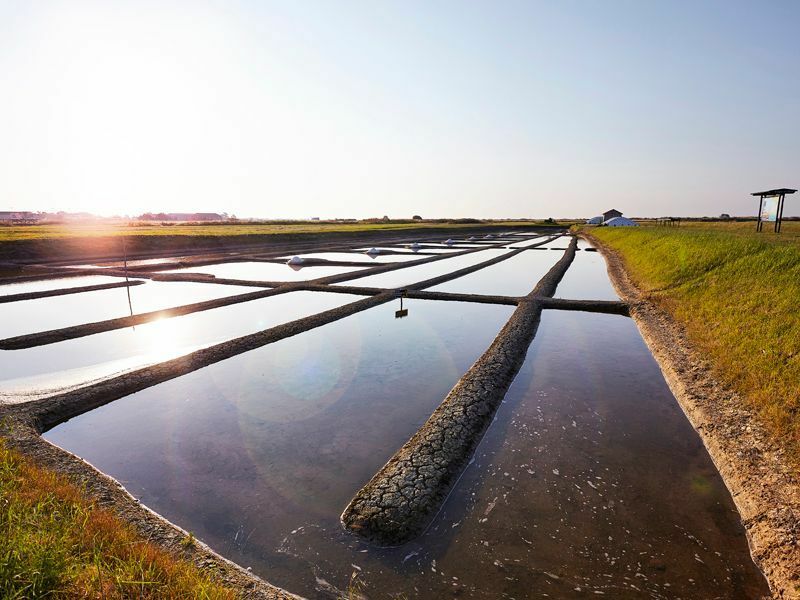 Today 40 salt-marsh workers continue to produce salt from 100 hectares of marshes. DON’T MISS IT! 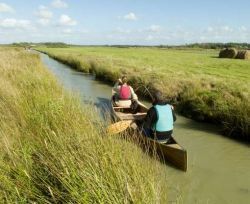 A picturesque trip through the heart of the salt marshes is a chance to understand the salt-marsh workers’ trade and to admire the age-old gestures still in use today. You can also see the animals and plants in a natural area blending land and water during your visit, which will be rounded off, if you wish, by a delicious tasting of fleur de sel (fine salt).